We shown the VAS use in P3d V3 already (with similar results as shown here), but I just repeated them in FSX. This is on a clean FSX, no other add-ons, because we are testing the VAS use of the scenery, not of a combination of possible add-ons. Settings of scenery are nearly maxed out. I leave it the reader to draw conclusions (then the fact default EDDF is remarkably badly done and still seems to need a shitload of VAS, lol). Lol, I only now see I left FPS on screen. Rather impressive and again incredible how much resources the default needs. Here are the settings used for these images. I regret very much to report that I might be one of the very few users (if not even the only one) who just encountered an OOM using EDDF v2 (in FSX:SP2). In addition, my average frames were only around 10 (rather below 10) and therefore I encountered quite a lot of stuttering all the way through from taxiing onto runway 25C to taking off, doing a traffic pattern around the airport, then landing on runway 25R and taxiing down the whole apron up to Terminal 2. I must admit that due to the amazing details in this scenery, I watched my plane (the Aerosoft A320 in Lufthansa colours) from external view and tilted the view a lot of times - and when I tilted it some more while passing the eastern end of Terminal 2, I got the OOM. Just wanted to report this, and despite all those problems, I must say that the scenery simply looks amazing and the amount of details is breathtaking. Frankfurt Airport really is a beast full of many, many different buildings and structures - so it's no miracle that my system couldn't cope with it anymore. 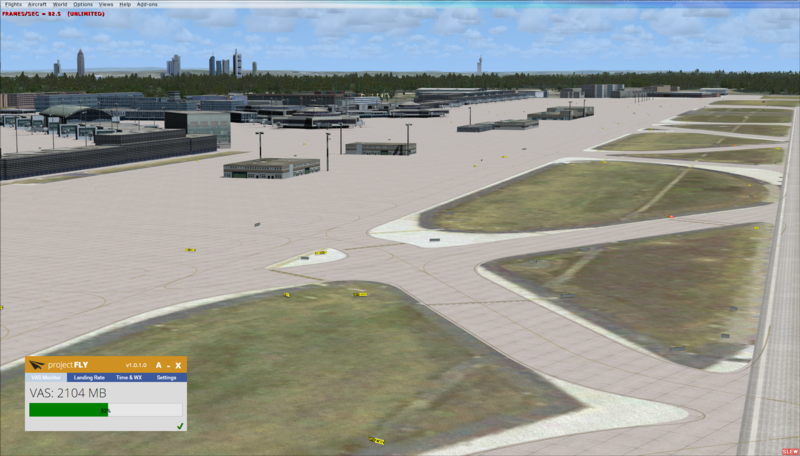 The German Airports team sure took a huge amount of effort in creating this scenery, so kudos! the OOM problem could be caused by night environment germany, a known issue, they will fix that next time as i heared.. I regret to inform also that in a similar round up from gate 143 with my RealAir Lancair Legacy v2 to RWY 07L, I encountered a lot of stuttering and FPS varying abnormally from 33 (highest) to 12 (lowest). After TO and a go-around to land in RWY 07R, similar situation with lots of stuttering. All the rest of my scenery works well and I can say my rig is kind of a high-end desktop. I've also noted some vehicles circulating in the taxiways and dirt coming out of the wheels of the Lancair even if it was taxiing over concrete/asphalt. Details of the building, objects and runways are certainly amazing, but I think that to have this scenery working with an adequate fluidity you would have to move the sliders to lower values. I'll patiently wait for the v2.1 of this scenery and hopefully the developer can find a way to overcome the issues. I'm running P3Dv3.2 and no OOM's. Well, I don't have Night Environment Germany... 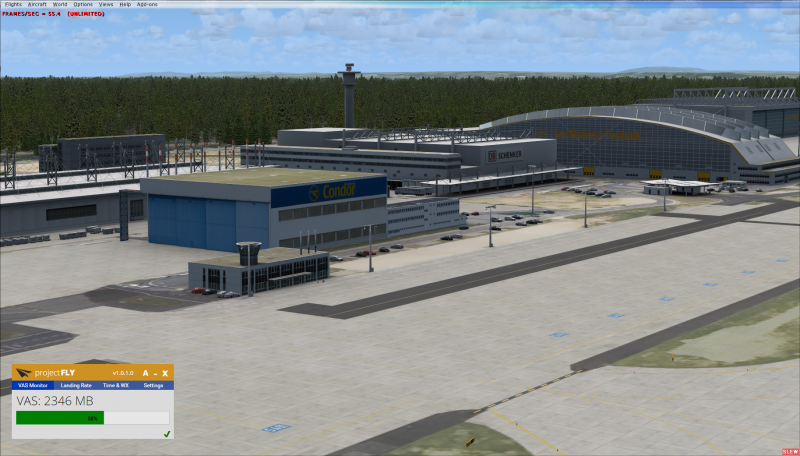 The only scenery add-ons I operate around EDDF are Egelsbach Airport (included in Aerosoft's German Regional Airports package) and FTX Global. And, as weather and AI add-ons, Active Sky Next 4.1 and World of AI. 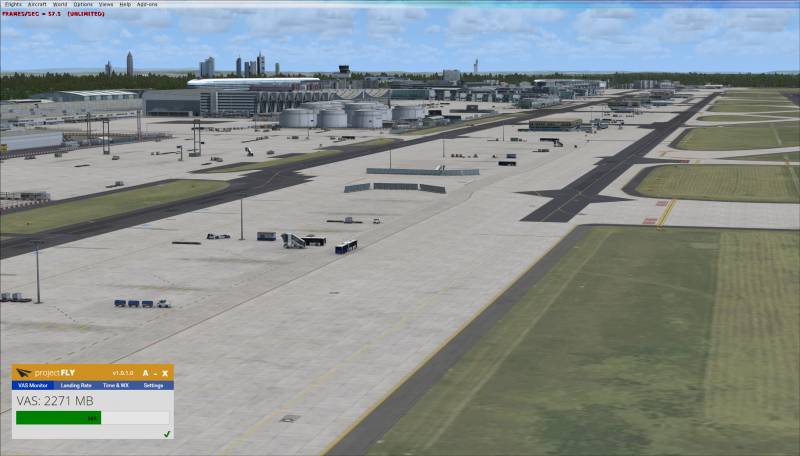 I also am getting OOMS/CTD on FSX, I never had this in the old version. 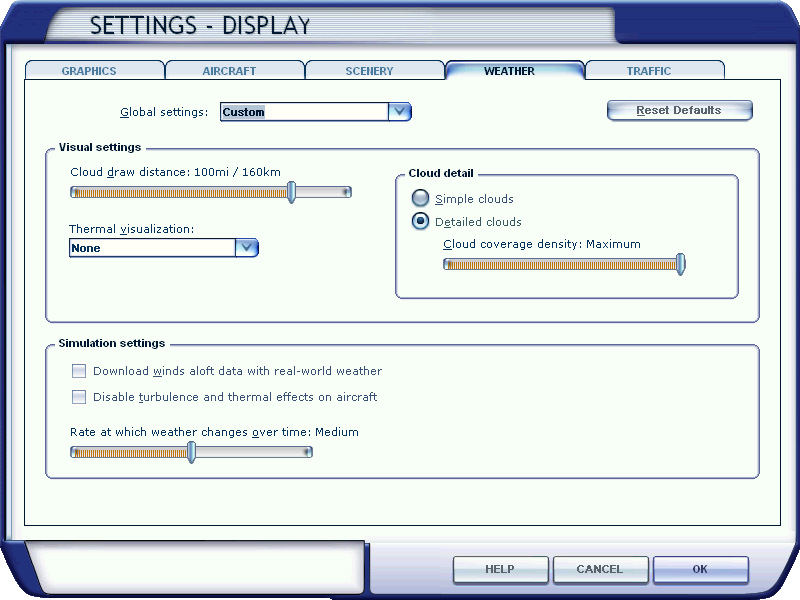 A couple of times when I changed my user aircraft and for example from day to night. Have the same add-ons as before, GEX UTX, MSE Germany, etc etc. Also Night Environments Germany. The scenery took a longer time to load than with the old version, disabling the virus scanner improved this but I still have to wait a minute or two for my AI aircraft textures to show. Hope that we get a solution soon. To be perfectly honest, I would not count on that. If an add-on scenery uses just a bit more then default scenery that is a near ideal situation, one that can hardly be improved upon. 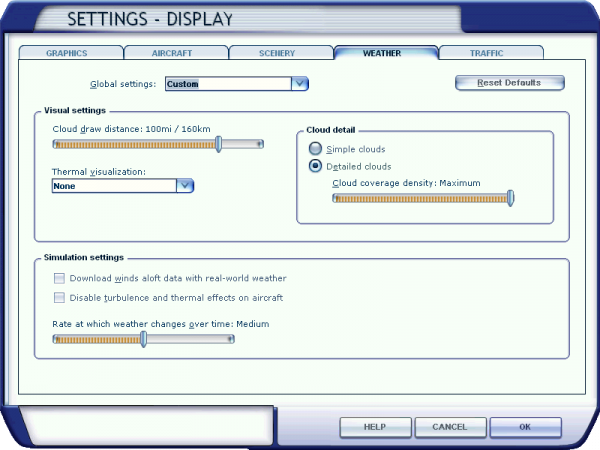 For Night Environment do note we STRONGLY recommend to disable it for day time flights as FSX (and P3d) are no longer able to disable scenery based on time of day or season as FS2004 could. So even if you do not see the lights, they are still taking memory. On FPS, try to see if you can identify a specific object that takes down your FPS, but so so with all other add-ons disabled otherwise the results will not be accurate. I am unable to find any such objects but it would not be the first time we find a specific object that has problems with a specific driver. I am getting 100% steady 30+ fps on FSX:SP2, FSX;STEAM and P3D v2. MSE is MegaScenery Extreme ? 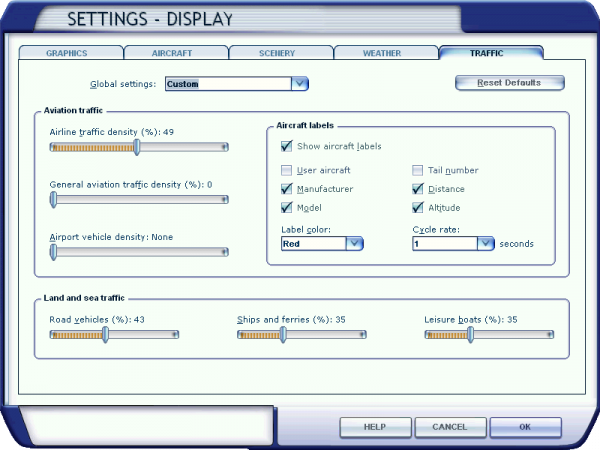 - that's a large photoscenery that takes a huge amount of memory, together with NE it might just be "too much"
You should definitely think about using some management tool like SIMstarter NG to make is as easy as possible to disable stuff you don't need for a flight before firing up the sim. 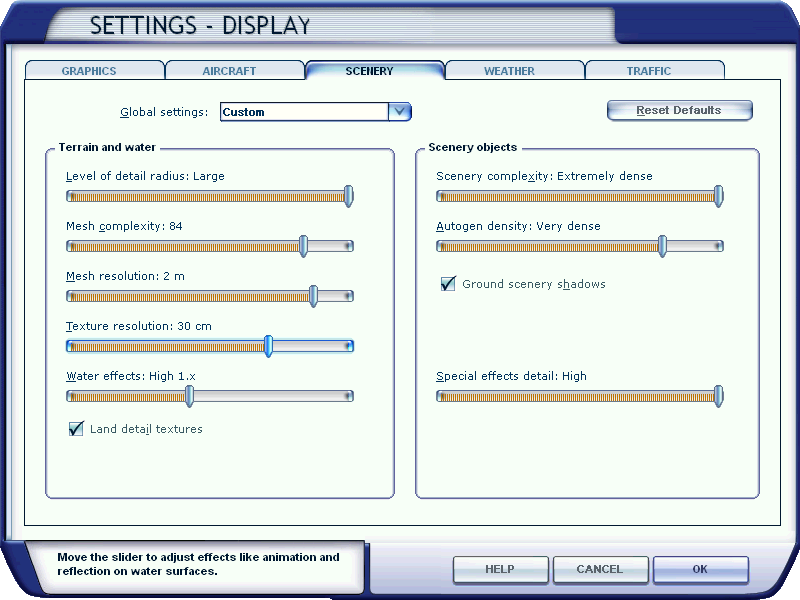 Especially in FSX with it's really bad memory management something like this should actually be a standard (not to say mandatory) nowadays with all these huge and dense and hi-res sceneries. @Tom A320 @Mathijs Kok - sadly I'm also experiencing OOMs ... first with Berlin and after 1.01 that seems to be fixed but on the edge of 4GB VAS and now EDDF V2.06. Obviously I don't have a "clean install" of FSX because that will be ridiculous to do just to accommodate EDDF. I do however use SimStarter and almost every major airport is disable and with an i7 4790, 16GB RAM with GTX750 my FSX is running very smooth with FPS fixed at 30, I seldom see a drop at airports like EKCH and LOWW (both large airports by FlyTampa). 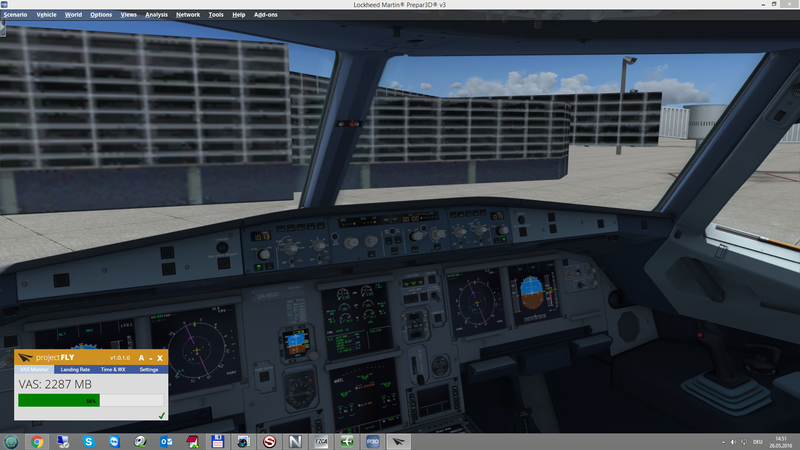 At EHAM (Aerosoft) there is a slight drop to around 20-22 and at EGLL (Aerosoft) it drop below 20 but no OOM. Sliders for scenery and autogen are only Dense. I've noticed the screenshots and comments by Mathijs but surely that does not represents the reality of the matter that (1) no one has EDDF on a clean install (2) there is a huge difference of loading EDDF and just sitting on the tarmac and doing a VAS count and (3) it should be compared to an actual flight between two major cities over a period of time and a reasonable distance. You can repeat this with B777 PMDG from EKCH to LOWW (both FlyTampa) and sliders to the MAX - only a decimal in the FPS here and there but definitely NO OOMs. Surely, then there is something to be said for EDDF, or EDDT for that matter. I would very much like to see the fsx.cfg and scenery.cfg files of those who have "excellent FPS" and "no OOMs" at EDDF. Then we can compare apples with appels. Interesting post. What FPS do you get at EDDF? I've noticed the screenshots and comments by Mathijs but surely that does not represents the reality of the matter that (1) no one has EDDF on a clean install (2) there is a huge difference of loading EDDF and just sitting on the tarmac and doing a VAS count and (3) it should be compared to an actual flight between to major cities over a period of time and a reasonable distance. Sure but how else do you want to test how much VAS is used? Make a massive list with every possible condition and combination of add-ons? What I show is how much VAS is used on loading compared to the default FSX/P3D. And that's a pretty good result. If you check VAS with several other add-ons how would you know what part of that is used by Frankfurt? And as you have seen many people are reporting the exact opposite. The fact you run PMDG aircraft, OrbX, EDDM with hardly any effect om VAS is very surprising though. In fact it is amazing. I now switched off all other airport add-ons in my FSX scenery library and made a test flight starting at the run-up position to RWY 25C with default weather in the Aerosoft A320. I still am stuck at around 10 FPS (or even lower at most of the times) in all phases: taxiing to the take-off runway, take-off, traffic pattern around the airport, approach, taxiing from the landing runway towards the gate. So it can't be because of a specific object, but the whole airport and its vicinity seem to create all those problems. I also get VAS usage of up to 85 % (or even 87 %, when doing a lot of view tilting) in external view while taxiing past Terminal 1. Please note that I didn't even fly from another airport to EDDF, I just took off EDDF, flew the traffic pattern and then landed again at EDDF. See for yourself the following screenshot - and please note that my frames sometimes even drop below the 9.2 displayed here while taxiing at EDDF. I must say, that so far, EDDF v2 remains the airport add-on with which I get the worst FPS and VAS results in my FSX so far. Yes, with PDMG, UTX, REX and ASN + AI Traffic, this brilliantly designed and FPS friendly airport is unflyable due to VAS limitations. Unfortunately, it's worst VAS-performing airport after UK2000 EGLL that I eventually managed to fly into with Lite texture pack. Perhasp, Aerosoft/GAP should in follow this example. With all due respect....no simmer flies these days in the DEFAULT environment. Almost all of us uses either ORBX products or UTX, ASN, REX, complex planes...too may to mention. Therefore, proper VAS management should have been done WITH these widely-used add-ones in mind. This is a "new normal" approach in 2016. Other than VAS usage, the product is just a piece of art. I wish I were able to use it. When Mathijs says that he tests the default EDDF against the new EDDF, it is to get an idea of the VAS consumption. How else would you get an idea of the VAS footprint of the scenery? Of course you need to test that without any other add ons installed to make sure you get the right numbers, not invalidated by other stuff. But of course that doesn't mean, that you are expected to fly only into default airports! With not a single word that has been said. Please read Mathijs posts again and you will find the exact same explanation as I have just given. VAS consumption in FSX is a topic nowadays. But not only since the new EDDF. It is a topic since many years, and there are multiple possibilities to overcome many of the problems. The main problem is that FSX is a 32bit application. So it doesn't matter if your computer has 8GB or 64GB installed, FSX is only able to use 3GB of them (or 4GB if you have the HIGHMEMFIX tweak installed). And not a bit more. Unfortunately FSX doesn't come with the best memory management. That means that the memory is used in a very inefficient way. Result: you can run quite easily into OOMs. And that is not the fault of a single add on, but of all that is loaded. It is simply getting too much. And if you want all that stuff running at the same time, you have to make sacrifices. Like lowering the FSX settings. But this is not a topic to explain VAS usage and management. There are tons of information about that available here in the forums as everywhere else on the internet. This is a "new normal" approach in 2016. As it is the "new normal" to have a close look on all the add ons, best with a proper scenery management tool. And maybe think about saying goodbye to FSX and hello to P3D, which comes with a much much better memory management. good add on but unable to use. OOM all the time. The only add on I have causes this problem, honestly. There must be something somewhere which may cause this problem. 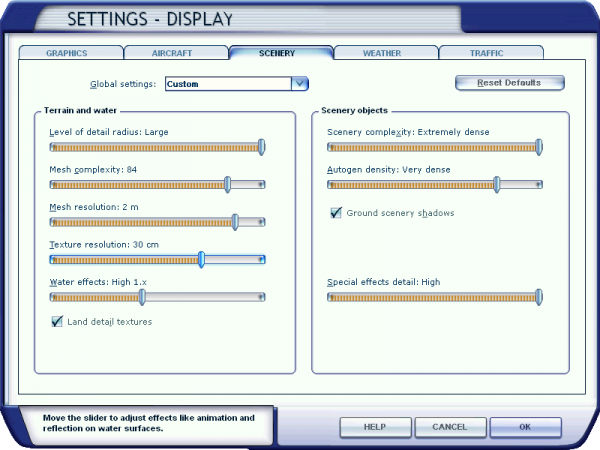 My sliders in FSX are even below the ones shown on top of this thread. What should I say. For half a day I am exploring EDDF now with the Airbus, an NEVER exceeded 2.7GB of VAS. I am having ASN, REX4 and Orbx openLC EU active, no AI. But there is obviously lots of room for anything like that. What I am doing is using SIMstarter NG to make sure that my P3Dv3.2 never starts with anything I don't need. At the moment I have only EDDF and EGLL activated. In the past I did also some tests with ALL scenery active. May I bother you to post your P3D settings for scenery and graphics. PS. Yes. AS Airbus is the "VAS-Lightest" bird among other heavies. PMDG (both NGX and T7) use more due to the enhanced complexity of the systems. 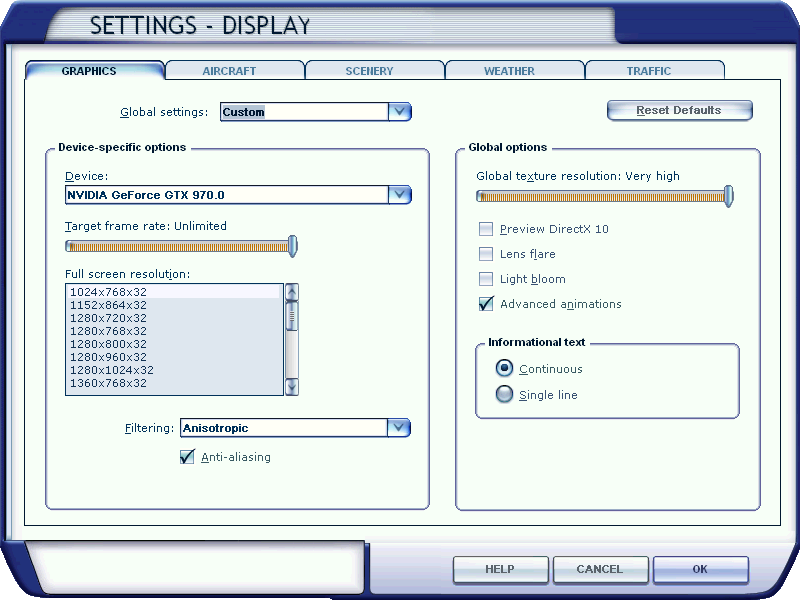 FSX:SE and especially P3D v3.2 cope much better with VAS usage than FSX Boxed edition does. Also keep in mind that LOD radius and 4096 or even 2046 textures enabled in fsx.cfg are a major culprit when is comes to OOM errors. Always start with a clean fsx.cfg and modest settings in the graphics department and then slowly start increasing the sliders until you hit the sweet spot according to your hardware. I suspect that most of you that face OOM errors have a corrupted fsx.cfg or p3d.cfg file with tons of useless tweaks that only make matters worse. Please take a look into the linked topic. All information is given there. 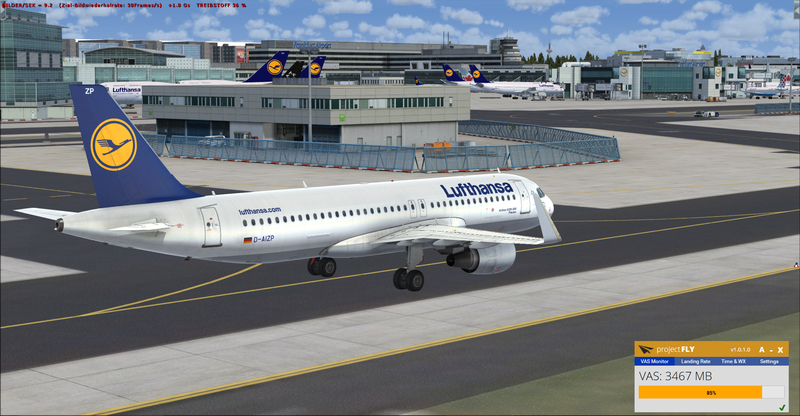 @Er!k - when I load FSX on EDDF at the gate I will get 20-22 FPS and VAS is ± what Mathijs and TomA320 shows. 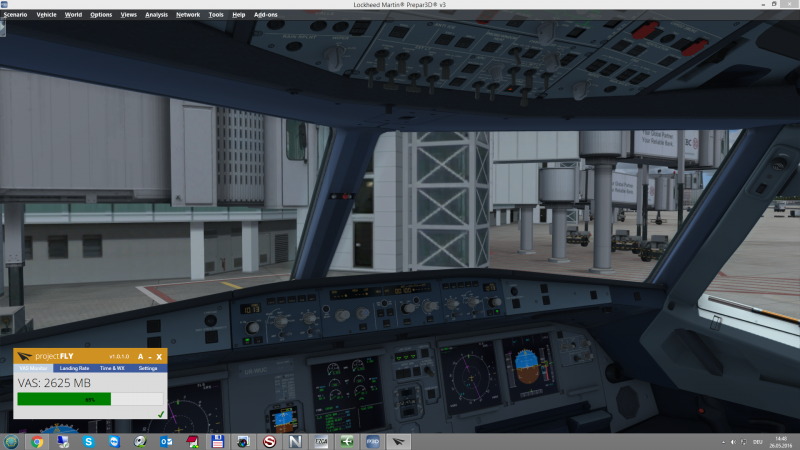 As I taxi around it will drop below 20 but I can fly out of EDDF without an OOM. The problems begin when I fly into EDDF and twice now, from different airports on short finals at EDDF the OOM zap me right out of FSX. @Mathijs Kok - I didn't say, 'with no impact on VAS', I said with very little impact on FPS. Sometimes the VAS will get dangerously close to 4GB but the sim still runs (relatively) smooth e.g. 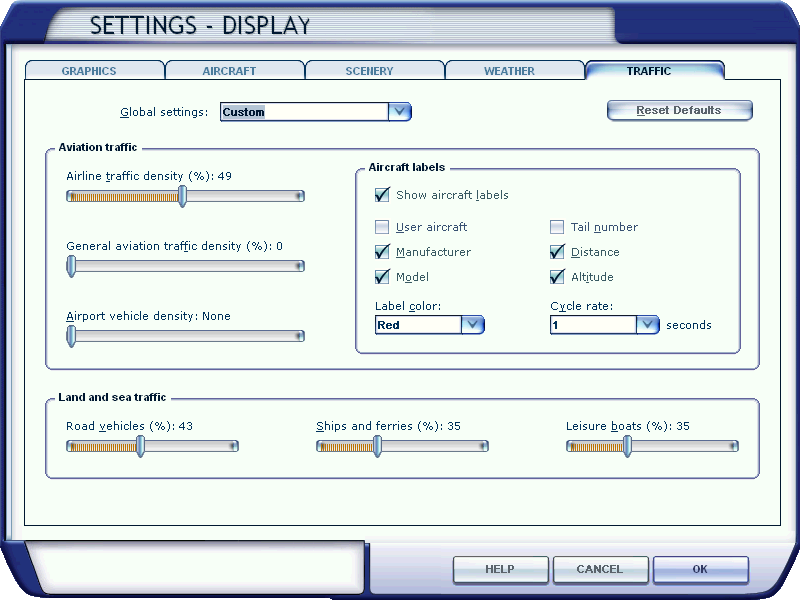 EGLL (Aerosoft) is well below 20 FPS and the VAS is ± 3600 with ALL surrounding airports turned off. As I approach EDDF the FPS starts to fall and the VAS starts to rise. Somewhere between 3500 and the 4GB threshold it trips. All seems fine with ± 400 or 500 MB left and then all of a sudden it just bombs out. When I disable AI traffic and have no ASN / EFB / ProATC the frame rates are marginally higher and the VAS only a fraction lower. As I say, the problem is not loading a flight with an aircraft standing on the tarmac at EDDF ... the problem is arriving at EDDF with an Aerosoft or PMDG aircraft ... if the VAS suddenly spikes, it will simply return you to desktop.